I'm just your ordinary girl trying to serve an extraordinary God! I prosper in everything I put my hand to. I have prosperity in all areas of my life–spiritually, financially, mentally, and socially. How many times have you heard someone say your words have power, or if you grew up in church like me, you may have heard the scripture about the power of life and death being in your tongue. Well I have heard this all my life, I applied the scripture in some areas of my life but not all. For example, I would never say something awful to a person like I hope you die or get hit by a car. I mean I didn’t believe my words had the power to kill someone but it was out of principle. It wasn’t until early this year when realized the true meaning of this scripture. How I could use my words to transform and renew my mind. Confessing the scriptures and speaking positive affirmations is what has brought me out of some of my deepest and darkest times this year. It all started with losing my job unexpectedly. The loss of my job had me feeling burden down with rejection. I had been at this job for 9 plus years and I couldn’t even get rehired with the company doing another position. I felt betrayed and had all sorts of anxiety about finding a new job. I had been attending New Light Church were Pastors IV & Bridget Hilliard taught on the power of confessions. They taught on confessions so much it made me uncomfortable at first because I thought we were just reciting words that sounded good, but out of obedience I said them anyway. Then on Saturdays I attended Woodland Church’s Job Support Group, and they would spend half of the meeting teaching us to make confessions. Again, I thought how is this going to help me find a job. Nevertheless, I kept attending and making my confessions. I didn’t even realize how my mood improved and my anxiety began to decrease. 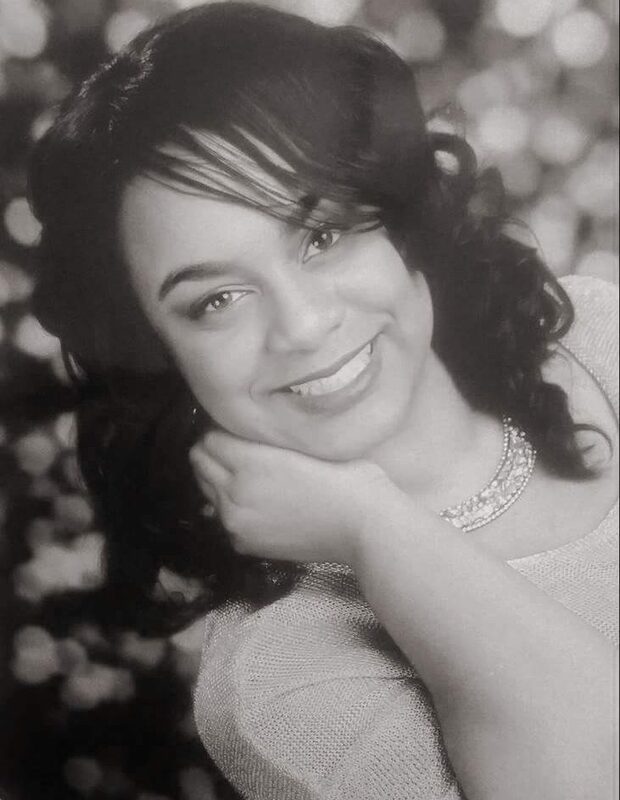 Then I attended Work Faith Connection, a non-profit career bootcamp for 8 days, and each morning we were encouraged to speak confessions. God was setting me up for success. So each day I continued to speak the word of God over my life. I would tell myself God is on my side, I will not fear, you are an overcomer, you are fearfully and wonderfully made in the image of God, you are a new creature predestined for greatness, you are a child of a king. I was getting stronger and stronger in my faith. My confidence grew leaps and bounds. I no longer feared not getting a job, but I had hope to believe that the right job would come to me. It wasn’t like I didn’t have a degree, or skills, or expertise. I just lacked the mental ability to see beyond what I was going through. See when your mind is consumed with negative thoughts it spills over into your actions. It can change the way someone perceives you. It can change the way you see yourself. Speaking positive confessions gave me the power to see pass what I was going through and look towards a brighter future. I had filled out several applications, had several phone interviews, and no offers. I still kept the faith, knowing that what was meant for me would be. I didn’t speak anything negative but I kept saying things like, “And God will generously provide all you need. Then you will always have everything you need and plenty left over to share with others” and “God’s going to put you on somebody’s mind who’s in position to restore what you lost”. I was applying for jobs weekly, networking and using all my skills I had learned for my career coaches. Then one day I came across a job posting that had my name writing all over it. I knew I was a great fit for it. I told myself this was mine. I got my interview attire together, tailored my resume to the position and researched the company. I just knew they would call me and I knew I would get the interview. I felt it in my spirit. A few days later, I got the call, went on the interview and knock it out of the park. The same day they called and told me I had the job. Not even 24 hours later. I knew it was God, and I knew it was because I was mentally prepared to do the work. I had to let go all the anxiety, sadness and depression to become something greater, stronger, and wiser. You can’t let bitterness and anger hold you back from getting what you deserve. When you dealing with those negative emotions it shows, you give off the wrong vibes and you attract just what you are putting out. When you began to speak positively and believe what you say and think wholeheartedly, you can have what you will. I am learning more and more that I need to renew my mind daily. That I have to continue to say what God’s says about me. I have to believe in who’s I am, who God says I can be, what God says I can have. Its only when I do this I feel better and attract better opportunities. If you don’t believe me try it for yourself. I had to fake it till I believed it myself. I kept saying affirmations until I believed what I was saying was true. Many successful people use affirmations, quotes, scriptures and confessions. It’s key to you having a positive self-image, self-awareness and healthy mental state of mind. Your words matter! You have the power! Have you ever had to be courageous during a difficult time in your life? Job loss, divorce, sickness, loss of a loved one, etc? How did you push forward? Where did you get your strength? No Need To Fear, Daddy Is Here! Bike riding. Something I really liked as a child. I remember being in like 1st or 2nd grade when my dad first showed me how to ride my bike. It was the cutest bike ever. You know the one with the basket in front and the colorful streamers on the handle bars. I loved that bike because it had training wheels. I felt secure because it was stable. I would ride down the block about two houses in both directions because my parents didn’t want me going to far. Then one day my dad told me it was time to take the training wheels off. I remember thinking why would he want me to fall. I can’t do it. It only took his comforting voice letting me know Daddy’s here. You see he was right behind me holding the seat as I began to pedal and before I knew it I was riding without fear. There was no need to fear, because my daddy was there. I knew he would not let me fall. Life can be a scary place. There are so many unknowns, and I always thought I had to play it safe so I wouldn’t fall. I have been going through life with training wheels on because I like the idea of safety and security. Have you ever wondered who will catch me if I fall? Have you ever wondered who you can depend on? Let me share this thought with you. Someone once said “God placed the best things in life on the other side of terror”. So the lesson to learn is there is nothing to fear. The thought that you will fail is just an illusion. Fear desires to be your master, and you the slave. Holding you captive from your destiny. The enemy doesn’t want us to have all that God has in store for his children! That’s right we are HIS children! Isn’t it good to know Our Father is with us every step of the way. I know he loves me and only wants the very best for me! I have the privilege of being his child. 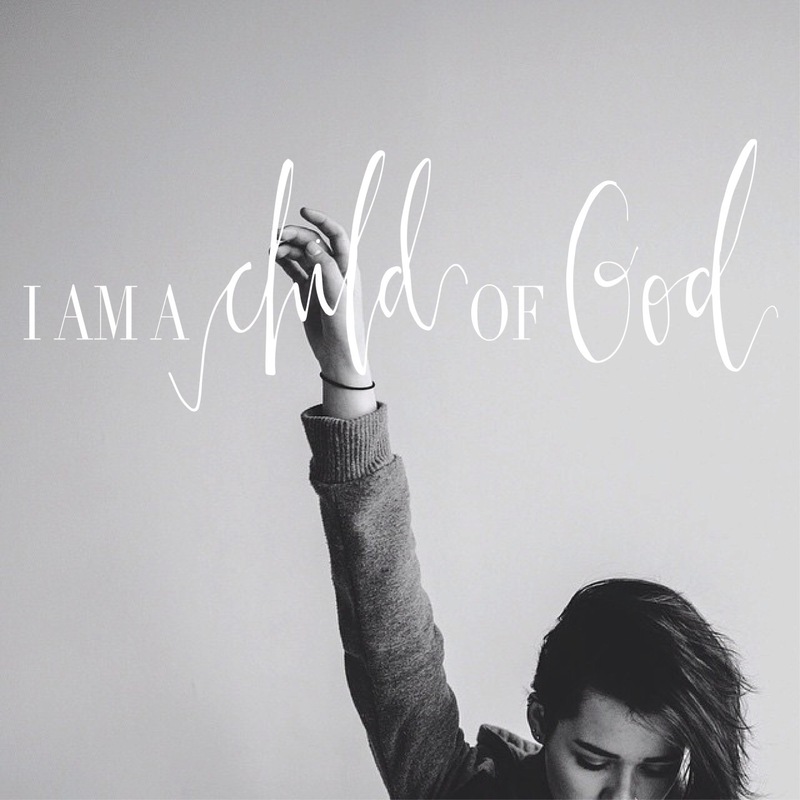 I am no longer a slave to fear but a child of God. As a child of a king I have complete access to his inheritance! I want it all! I want my Destiny! So what’s next Daddy??!! I have no fear, I know you are here!! Life happens! If you have never experienced your share of heartache keep living. I know we all like to wear a mask and paint perfect pictures of our lives. We only expose the good things and leave what is troubling us hidden. But I want you to know there is a peace, a God-giving peace that is unexplainable. When you learn to tap into it nothing will break you. The problem we make is trying to handle it on our own. 1 Peter 5:7 says it like this, “Give all your worries and cares to God, for he cares about you”. NLT. We don’t have to hold on to it. Give it to God and don’t try to pick it up again. You don’t have total control over your situation anyway so you might as well give it to him. When you try to hang on to it, you leave yourself open to negative thoughts and depression. You were not meant to carry these burdens alone. Psalms 55:22, “Give your burdens to the Lord, and he will take care of you. He will not permit the godly to slip and fall.” NLT. It is not his desire to see you down and out, but strong and unmovable. When you do these things, I promise you, he will grant you peace. The kind of peace that catches people off guard because they don’t understand why you haven’t lost your mind. The kind of peace that when you lose your job you are still smiling, the kind of peace that after your heart has been broken you still hold your head up unashamed. The kind of peace that when you lost your love one you can still stand in the gap and pray for someone else. I’m telling you this peace truly surpassing any human understanding and comprehension. He is waiting to stand guard, to protect your heart and mind from the cares of this world! To receive this peace all you have to do is trust in Jesus. 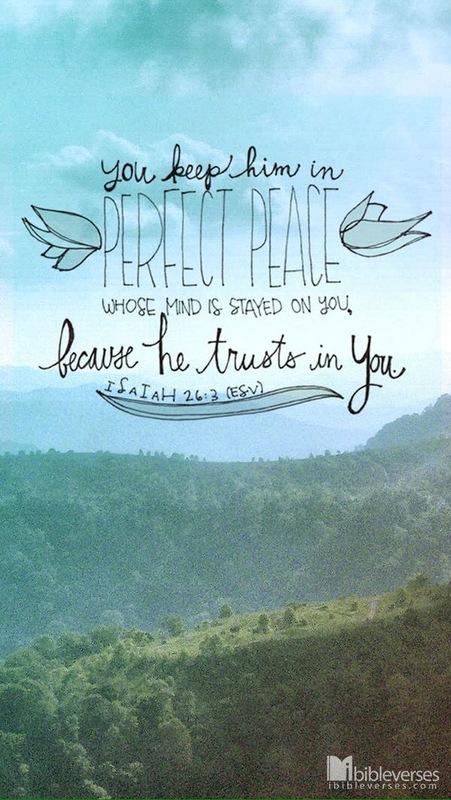 “You will keep in perfect peace all who trust in you, all whose thoughts are fixes on You!” Isaiah 26:3 NLT. So turn to the one who has your best interest at heart. Nothing in this life is easy, life won’t go as planned. Things will get rough but you don’t have to endure it alone. You don’t have to be drowning in depression, but trust God and he will give you peace. Perfect Peace! Do your dreams scare you? As a child I had a pretty big imagination. I was a huge Disney fan and I really believed in fairytales. These songs make it sound so simple, just make a wish and it will come true, but we all know that is not real life. It is not enough to dream but we have to put in the work to make our dreams come true. Not to mention real life comes with complications, things that will try to detour us from achieving our dreams. Things that will make you want to give up all together. Or maybe you feel you are not good enough or qualified enough to have what you desire. You feel your dream is so far from where you are right now that you couldnt possibly attain it. That’s when its okay to go back to that childlike mindset. You know when you truly believed. Then you can tell yourself anything is possible. You just have to be willing to step out on faith. There is no time limit in accomplishing your dreams. The only person who will get in your way is you. I know its hard because in my short adult life I have become more of a realist. I was ready to settle for just mediocre days. I was getting complacent with the way things were. Then I stumbled on this quote “If your dream doesn’t scare you, it’s too small. That’s when I realized I was limiting myself from having all I truly deserved. So what if it doesn’t work out or if I make a few mistakes, at least I tried it right. I have to tell myself it is okay if you are unsure about the unknown. It’s okay to even be afraid. Just do it! Do you really want to wake up one day and see how life has passed you by and you never had the courage to DO! Its not enough just to dream. Have faith in your dreams and trust God for guidance. I encourage you to write your dreams down, you may not be able to share them with anyone cause they may not understand. Start that vision board, take a class, start the business, write the book, etc. 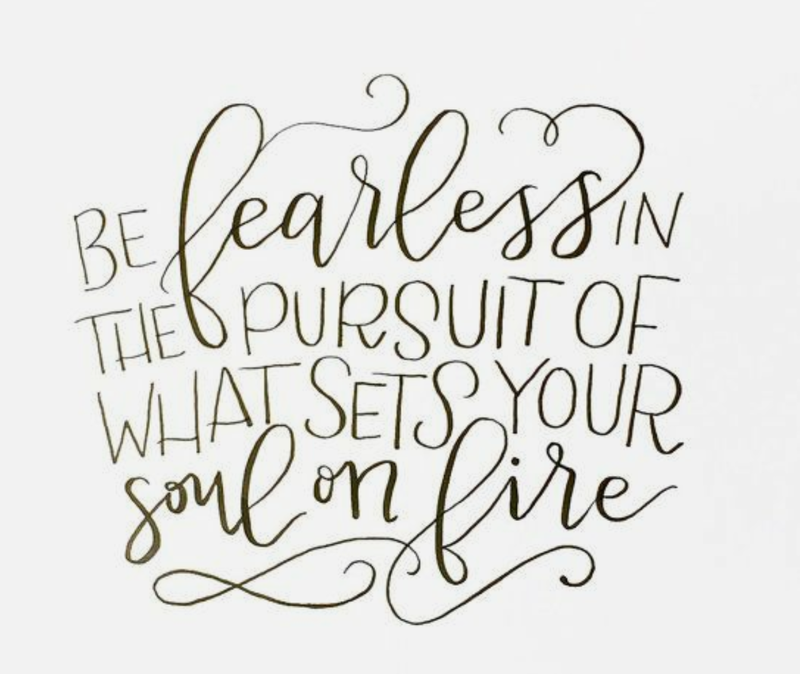 Whatever God had laid on your heart lets try to make our dreams a reality and be fearless in the pursuit of what sets your soul on fire!